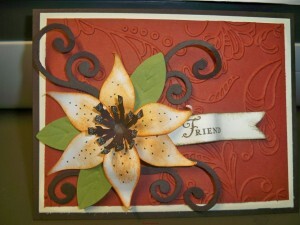 This card got me First place in Carol’s contest , made with all Stamping up products . 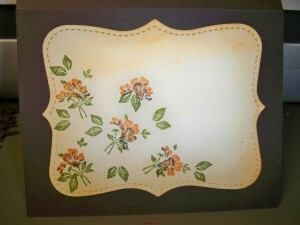 Love the embossing! Stopping by later.. can only stay a little while. This one is def. 1st place worthy!! Of course, I like them all. Very good!! Love that flower.